A built-in island can add functionality to your kitchen in a number of ways without the need to knock down walls. This can mean savings in time, costs, and clean up! If your current kitchen features counters only around the outside of your kitchen’s footprint, an island may be a quick way to dramatically increase the available prep space for cooking and hosting. Who wouldn’t love some more space? Islands are great for stove tops, sinks, and even under-the-counter appliances such as dishwashers, wine coolers or trash compactors. If you didn’t have space for these types of conveniences in your old kitchen, and island might just be the answer you were looking for. If you’re out of cabinet space, an island is a great way to add additional storage, including drawers, cabinets and more. Folks flock to the kitchen at every gathering; why not give them a great place to sit? Islands can be designed to include seating for your guests in a number of creative and beautiful ways. 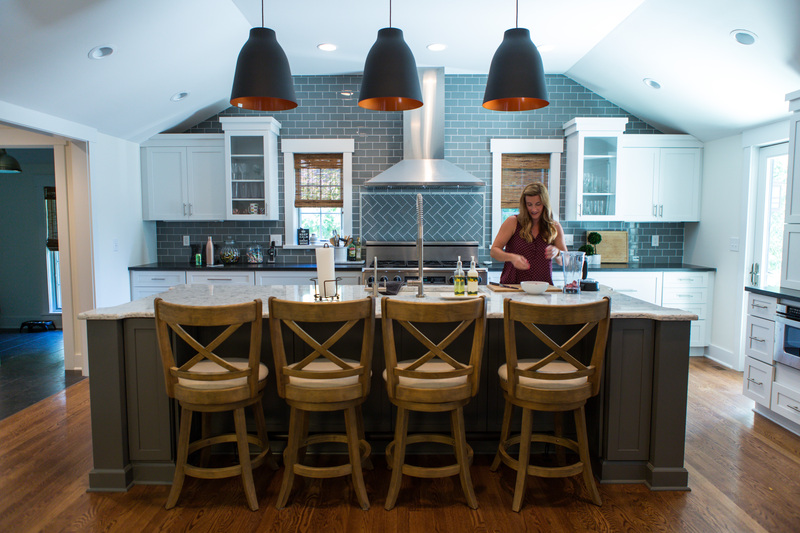 Watch any HGTV show and you’ll hear potential home buyers who are all looking for a kitchen island in their must-haves. Islands add not only tremendous functionality to your home, but also tremendous resale value as well. When you’re redesigning your next dream kitchen, don’t forget to talk to our design consultants at Riverstone about adding a kitchen island! It can include a wealth of functionality and value to your home!